Today we're taking a trip to the drugstore, over a week ago now I stumbled upon some new things from Rimmel - a foundation and a new cream blush, with 3 colours to choose from! A light peachy shade, medium pink shade and a deep plum colour. Of which I have 2 of the shades mentioned. 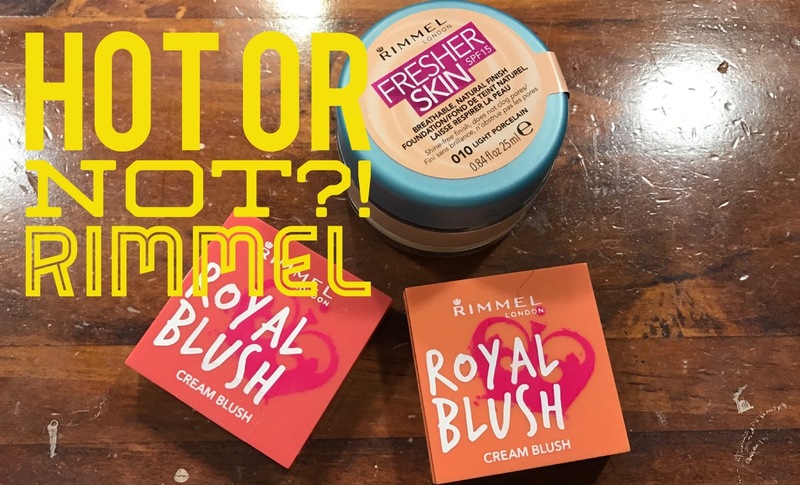 And I have been putting the cream blush and foundation to the test over the last 5 days! The foundation shade range was fairly decent if you have a fair to medium skin-tone but again nothing really for deeper skin-tones (NW/NC40 +) which was unfortunate and disappointing to see. F.Y.I. Just as reference I have combination skin. I am oily in the T-Zone and dry on the cheeks and forehead etc. And as a foundation shade match reference for what I wear .... I'm a NW15 in most MAC foundations or Mont Blanc in the NARS sheer glow. Thank you for your time and until my next post. BLOG EXCLUSIVE: THE 3 WONDERS!! Happy 2017 🎊 + 2 New Videos!